If you haven’t noticed, the candidates we’re endorsing are portrayed like “Rugrats.” That’s because we’ve come to the conclusion that the governance of the Associated Students has become a shoot-in-the-dark kind of process. We don’t support the existing, sloppy framework of the A.S., so we picked the candidates who brought similar concerns to us. The five executive offices are granted free tuition for their efforts to represent the student body but despite their efforts, most decisions seem to predicate on infantile deliberative processes. The A.S. constitution is larger than the U.S. Constitution, and makes nearly no sense. Candidates, treat the association as what it is meant to be — the students’ staunchest ally — not a sneaky, malformed bureaucracy. Reign in unchecked spending and misinformed legislative decisions. Come clean about internal fraud. Don’t hide your finances — it’s the students’ money. Do that, and we’ll treat you like adults. The Daily Nexus endorses Harrison Weber for Associated Students Office of the President. Of the three candidates running for the position, Weber is the obvious choice. He’s an insightful, driven candidate with a plan to confront inefficiency in the association and having served as the Student Advocate General — one of the four other positions on the A.S. Executive Board — this year, he possesses the internal knowledge to accomplish change. Most notably, Weber proposed crucial changes to the A.S. Legal Code including increasing the Legislative Council’s oversight over the executive offices and all other boards, coalitions and committees, restructuring the executive offices to reduce expenditures, issuing a newsletter to the student body from the Office of the President regularly and addressing conflicts of authority between permanent staff and student representatives. His main rival, Stanley Tzankov, is not wholly unqualified or unready for the position, but he fails to compare to Harrison. Tzankov has an honest, can-do attitude and a trackrecord of successful work within the association, currently serving as a member of the Legislative Council, and seems somewhat willing to the address problems of an Associated Students swollen beyond its means, but has a vague, ill-defined plan. The third candidate, Marcus Rochellle, is not a strong contender for the position. He is earnest and well-spoken but shows little initiative and does not possess the necessary knowledge of the association’s processes and their effectiveness. But hey, you get a year’s free tuition if you’re elected, so why not try for it? The Nexus endorses Ahmed Mostafa for the office of Executive Vice President of Statewide Affairs. While both he and his opponent Elysse Madarang offer progressive ideas for battling student apathy, Ahmed seems the surer choice in terms of bringing activism opportunities directly to the students. He supports outdoor tabling, prompting members of A.S. to leave their offices for lobbying efforts, and eliminating some paid honoraria — a prudent goal amidst record A.S. expansion. He believes that A.S. should come to the students, not the other way around — and we agree. The Nexus endorses Chloe Stryker for the office of Internal Vice President on the basis of her experience and vision of internal reform within A.S. Chloe has served on the legislative council for two years and worked closely with the past two IVPs, in addition to serving on various other committees. Chloe is committed to restructuring the legal code, an important dimension of the IVP office as well as that of the President. Dina Varshavsky is also a decent candidate for the position and has much experience with the Association. She is sharp and dedicated, but demonstrated frightening naïvety about the Association’s Legal Code and was unaware that the A.S student president has the decisionmaking authority that supercedes the power of the Executive Director, a career staff member. The third candidate, Joel Mandujano, is passionate and energetic, but a tad flippant. Our concerns regarding the excessive spending by committees on items such as sweatshirts, memorabilia and constant complimentary Freebirds were quickly dismissed by Mandujano as trivial issues. Stryker has the necessary know-how to accomplish what is an unassuming and oftoverlooked duty of every A.S. administration— to regulate its internal processes and clean up inefficiencies. The Nexus endorses Nicole Leopardo for the office of External Vice President of Local Affairs. As outsiders of the Association, we share her concerns over the lack of consultation with students about the decisions that have been made to expand A.S. efforts further into the Isla Vista community, such as the A.S. Annex and Café. Leopardo has an amazing repertoire of experience behind her belt working for political parties and has the mass-communication skills necessary to mobilize students on issues that affect them and incorporate their voice in discussions over how their money is spent. While Leopardo had solid plans for dealing with future Halloweens, we consider her and her opponents’ ideas regarding Floatopia — such as an alternative, university-sponsored event — to be unrealistic. However, this should not take away from her experience in county-wide politics. She is well-versed in how the system works but she is not steeped in A.S. politics and will be a fresh candidate for students desiring accountability and a change from traditional, economically shaky ways of practice. Timothy Benson is also an attractive candidate for the position and works under current EVPLA Cori Lantz. However, last year we counseled Lantz in our endorsement that she exhibited a frightening tendency to go a little too big with her ideas. As we can see, that left her office struggling to implement a great idea — the Annex — and hard-pressed to secure the funding it still needs. However, the Daily Nexus is of the opinion that an outside perspectivemay lend some appropriate humility to A.S. as a whole and that Leopardo would work more within the Association’s means. The Nexus endorses Beau Shaw for the office of Student Advocate General. His rival, Luis Tamayo, is a strong candidate for the position and has proven his genuine character, passion and savvy of university politics through previous and current involvement in a number of campus organizations, but can’t match Shaw’s knowledge of the ways to expand his office’s involvement with the student body. Beau is Chief of Staff and has served in the office of S.A.G. for two years. As it stands, many will acknowledge that the S.A.G. office currently doesn’t pull as much weight as the other executive offices and needs to increase its scope while avoiding unnecessary expenditure. Beau promises to donate 25 percent of his office’s budget back to A.S., cut employees and honoraria and form several internships. Having spent time under the guidance of our presidential nominee and current S.A.G. reformer, Harrison Weber, Shaw has a slight edge up on Tamayo. The Nexus supports the continued funding of a $2.80 fee per student per quarter and $2.90 fee for summer ($11.30 per year). Aside from providing alternative music programming, the campus radio station creates a space for community affairs and involvement. The Nexus endorses the reaffirmation of a $4.92 fee per student per quarter and $4.17 fee for summer ($18.93 per year) that will continue support KCSB’s vital permanent staff. The Nexus feels that an $11.50 fee per student per quarter ($46 per year) is a relatively small amount to pay for two years’ worth of cultural events and concerts featuring the music industry’s most prominent musicians. It’s important for the students to continue to support a statewide lobbying agency acting on their behalf to avert budget cuts and diminishing returns for higher tuition. Let it be stated, however, that staff opinion on this issue is strongly mixed. Many argue against this fee on the grounds that a lobbying service is already embodied through the A.S. office of the Internal Vice President of Statewide Affairs, a position that UCSB students already subsidize with a year’s free tuition. The UCSA seeks a $3.02 fee per student per quarter and $2.90 fee for summer ($11.96 per year). The Nexus support SCORE’s continued efforts to promote diversity and equality on campus. The reaffirmation calls for a continued student contribution of $0.59 fee per student per quarter and $0.50 fee for summer ($2.27 per year). The Nexus endorses the continued $6.08 fee per student per quarter and a $5.83 fee for summer ($24.07 per year) to provide our bicycle-friendly campus with affordable and accessible services such as free air. The Nexus supports the reaffirmation of CAB’s $2.62 fee per student per quarter and $2.24 fee for summer ($10.10 per year) to provide a database of student volunteer opportunities and community service projects, such as homeless breakfasts. The Recycling Program asks to continue receiving $1.75 fee per student per quarter and $1.50 fee for summer ($6.75 per year) to further UCSB’s sustainability efforts and provide the campus with green infrastructure. The Nexus supports a $1.75 fee per student per quarter and $1.50 for summer ($6.75 per year) to keep campus transportation running smoothly. You better fix those damn cracks if we give you more money! With the highly probable absence of redevelopment agencies in California’s upcoming state budget, the Nexus endorses the $2.83 fee per student per quarter and $2.33 fee for summer ($10.82 per year) reaffirmation to address local needs and provide the Isla Vista community with service projects. The Nexus supports this small $0.58 reaffirmation per student per quarter and $0.50 for summer ($2.24 per year) to provide student parents with childcare service and the ability to devote sufficient time to their education. The Nexus endorses the reaffirmation of EAB’s $0.58 fee per student per quarter and $0.50 fee for summer ($2.24 per year), which offers the campus an outlet for green activism and environmentally-friendly events. The Nexus advocates for the continued funding of $2.33 fee per student per quarter and $2 fee for summer ($8.99 per year) to this student-led organization offering essential advocacy and legal services on the behalf of Isla Vista’s sizable renting population. The Nexus endorses the reaffirmation of $1.90 fee per student per quarter and $1.40 fee for summer ($7.10 per year) to facilitate free counseling and other legal services. The Nexus supports this $0.47 fee per student per quarter and $0.40 fee for summer ($1.81 per year) that allows the campus to address women’s issues and foster gender diversity on campus. The Nexus endorses the continued support of $0.47 fee per student per quarter ($1.88 per year) to educate the campus about sexual assault and provide a forum to discuss these significant issues. The Nexus endorses the proposed continued funding of an $8 fee per student per quarter ($32 fee per year) for the University Center. The services provided by the UCen are too numerous to count and benefit students campus-wide with jobs and events at the Hub, as well as study space and meeting rooms. 18. Child Care Center Fee: Yes. The Nexus supports the continued contribution of a $6.33 fee per student per quarter and $5.33 fee for summer ($24.32 per year) for the Child Care Center. Students and faculty members with children depend on the Orfalea Family Children’s Center’s services and reduced costs in order to maintain their studies and jobs. The Nexus approves continued funding of a $24 fee per student per quarter and $20 for summer ($92 per year) for Student Health. Aside from its Alcohol & Drug Program and Wellness Program, the department also offers clinical and auxiliary services, primary and specialty care and general medicine. The Nexus supports a $4.08 fee per student per quarter and $3.83 fee for summer ($16.07 fee year) for Disabled Student Services. The organization provides crucial resources and accommodations to all UCSB students. The Nexus endorses the Intramural Sports $5.83 fee per student per quarter ($22.49 per year). Amid the stress of crashing classes, paying higher tuition and working longer hours, it’s important that we maintain UCSB’s athletic opportunities for the sake of student health. The Nexus backs the $4.08 fee per student per quarter ($15.24 per year) for the MultiCultural Center. Student diversity is an asset to the university and it should be prioritized as such. The Nexus supports the Office of Student Life $2 fee per student per quarter ($8 per year). OSL successfully provides students with opportunities to become involved with clubs on campus by facilitating extracurricular activism. The Nexus endorses continued funding Arts and Lectures $2.67 fee per student per quarter ($10.68 per year). The informative speeches and cultural entertainment provided through this service are worth the small fee. The Nexus supports the Rec Sports $14.67 fee per student per quarter ($58.68 per year) to continue to offer athletic opportunities to the campus community. Recreational Sports funds sport club teams, student athletic training, adventure programs and intramural sports. The Nexus supports continuing funding the Event Center’s $4 fee per student per quarter ($16 per year). As the largest venue on the Central Coast, the Thunderdome hosts lectures, athletic games and concerts. The fee would fund the much-needed replacement and renewal of the facility’s aging infrastructure. The Nexus endorses continuing funding $8 fee per student per quarter ($32 per year) for CLAS. The service offers crucial workshops, tutoring sessions and out-of-classroom assistance for students. The Nexus supports funding the Coastal Fund’s $6.33 per student per quarter ($22.32 per year). When Santa Barbara County isn’t shutting down its beaches, they are quite beautiful, thanks to the work done through shoreline preservation. The beaches are our backyard — this vote will protect the local coastline. The Nexus encourages its $3.85 fee per student per quarter ($12.55 per year). 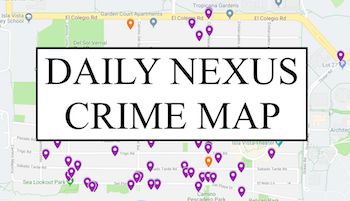 As the campus’ independent student newspaper, the Nexus keeps students informed about campus events, provides a forum to publicly express opinions and acts as a watchdog for the community. La Cumbre Yearbook is requesting $0.84 fee per student per quarter and $0.56 fee for summer ($3.08 per year) to continue the production of the annual UCSB yearbook. Without the funding the Yearbook could likely fade from existence next year, so pay up if you want to cherish those memories in quality, lasting hardcover. The Nexus declines the proposed new $4.00 fee per student per quarter ($16 per year) for College Bound. The funding will create an outreach and tutoring program for Santa Barbara’s underrepresented youth population. The fee would allow UCSB tutors to now serve junior high school students. Although the organization provides essential services such as SAT preparations classes, Saturday College, mentoring and college campus tours, student fees should be allotted for services and programs that serve UCSB students directly. Santa Barbara County or local middle schools and high schools should fund this service. UCSB students can barely afford their own college education; they can’t afford to contribute money toward other children’s prospective college careers. La Cumbre’s $2.91 fee per student per quarter — excluding summer — ($8.73 per year) will be used to fund annual production costs. The Nexus backs the proposed $3.67 fee per student per quarter ($14.68 per year) for Night & Weekend Parking. If its supplemental funding is passed, TPS would again provide free night and weekend permits to all undergraduate students, doing away with this year’s vendor processing and shipping charges. These permits will include parking for all events such as Halloween and will provide on-campus parking for undergraduate students living in Isla Vista. The Nexus declines the proposed $3 fee per student per quarter ($12 per year) for the proposed Community Financial Fund. Financial assistance for students is important, but the current economic climate calls for reorganizing and streamlining existing financial aid services at UCSB rather than creating new programs. Additionally, the Nexus hardly trusts the Associated Students to manage something akin to a credit union for other students when it can hardly keep track of its own finances. The new lock-in fee calls for a $15.00 contribution from undergraduate and graduate students each quarter for 33 years and would raise total quarterly fees for recreation and associated facilities to $97.18 for undergraduates and $81.18 graduates, or $388.72 and $324.72 per year respectively. It is important to consider that these facilities are entirely student funded. Revenue from this new fee would go towards installing all weather turf on playing fields and assist the repair of Robertson Gymnasium’s roof. UCen Third Floor Student Study Space Renovation and Support Fee: No. The new fee of $14.00 per undergraduate student per quarter, including summer, would fund the expansion of UCen facilities and provide extra study space and extended service hours. It would also raise total quarterly undergraduate UCen fees to $55.02, or $220.08 yearly, for 27 years. For the time being this might supply students some extra room during upcoming library renovations, but this initiative seems short-sighted and superfluous in the long-term. D.A.R.E. (Developing Athletics Resources and Facilities Enhancement): No. The Athletics Department asks for an undergraduate contribution of $44.50 every quarter for 30 years, raising quarterly Inter Collegiate Athletics lock-in funding to $78.80 for the school year and $67 for summer. The Nexus agrees that it may be necessary for the UNIVERSITY to fund certain capital improvements such as the 70-year-old campus pool but this fee places an exorbitant share of the responsibility on students. The Athletics Department must recognize that undergraduates are neither the sole nor the most suitable source available to generate finances. Were the proposed fee a smaller amount, it would be easier to support. However, requiring students 30 years down the road to uphold this duty seems irresponsible. If approved, the bottom line would be student contributions of $303.40 per year, or $9,102 per student over the course of 30 years, not accounting for inflation. Arts & Lectures Support Fee Increase: Yes. The proposed new $4.24 increase would be charged to every undergraduate student per quarter for four years and would facilitate continued offerings of world-class performers, speakers and events with affordable ticket prices. Arts & Lectures Support Fee: Yes. In line with the Arts & Lectures Support Fee Increase, the Nexus supports the reaffirmation of $2.00 per quarter undergraduate funding for the 51-year-old program. Events Center Support Fee: Yes. The Nexus supports continued undergraduate funding for the Thunderdome and UCSB Athletics at the reasonable asking price of $4.00 per quarter, excluding summer. University Children’s Center Support Fee: Yes. The Nexus supports the continued graduate and undergraduate contribution of $3.00 each quarter to provide student parents and families subsidized child care and create student teaching assistant jobs. The Nexus supports the proposed graduate and undergraduate contribution of $3.00 per quarter, excluding summer, towards the Coastal Fund’s allocation of finances to further sustainable projects and education in the community. Office of Student Life Support Fee: Yes. The Nexus supports an undergraduate contribution of $1.75 each quarter to fund, campus activities, student groups, leadership development and After Dark programs. 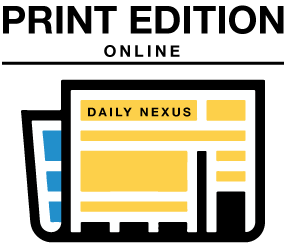 The Daily Nexus supports the proposed changes to the Associated Students’ legal code. Although the proposed Constitutional Amendment does give Legislative Council and Finance Board members unnecessary delusions of grandeur with the titles of “Senator” and “Collegiate Senators”, it does clarify some necessary (and embarrassing) errors in the code. The Student Advocate General’s office would be properly indicated in the line of succession for the president’s office, and the Executive director’s role would be even more clearly defined as subservient to students’ authority. A concerning part of the new language, however, is that it commits the IVP to oversight authority over the proliferation of student fees— this seems counterintuitive because it always has been a requirement of the Association, as far as we can tell. Hopefully that portion intends to fix the gross mismanagement of A.S. fees and election language we’ve seen in past years. So, while we have our reservations about this all-or-none amendment, the promises for progress and a rehaul of the legal code are too good to pass up. There are also promises from A.S. members (*cough* Chloe) of holding a convention to rework the legal code should the amendment pass. So his motive to create change has been fueled by his desire to create even bigger change?? VOTERS BEWARE! Lol get real.